If you find yourself in Gramercy, here are the best restaurants in the area. We probably should have posted this review when we first wrote about Casa Mono, but that was back in the day when The Infatuation was just a struggling newborn, still in the incubator. I think Casa Mono was restaurant review number five on the site. But now that we're a strong (and fussy) toddler, I suppose it's time we got around to it. Basically, Bar Jamón is Casa Mono's waiting room. Most restaurants have a bar area where people can hang, drink, and wait for a table. In Casa Mono's case, that bar is around the corner, and has a different name. 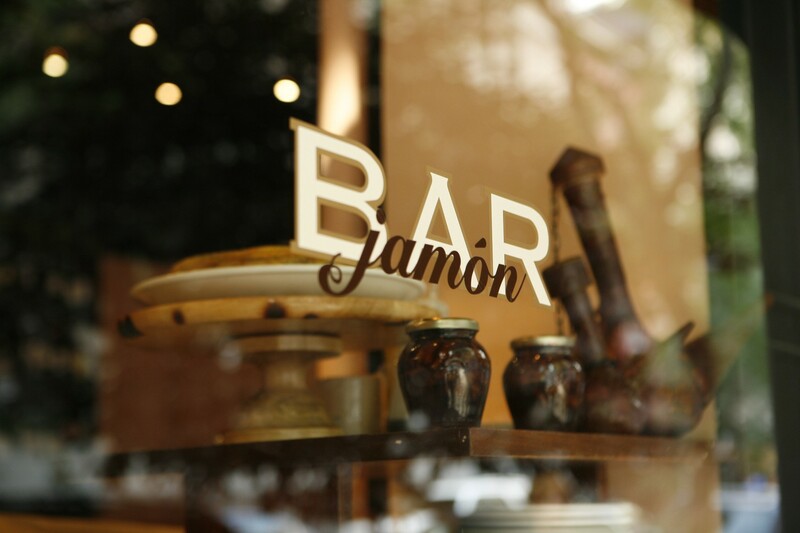 Bar Jamón is a tiny, crowded little room with a few communal tables and some ledges near which you can sit or stand. It's is definitely a great place to drink and snack while you wait for your table at Casa Mono, but in our opinion, it's even better for something else. Have you ever had one of those nights where you're meeting someone on a directly after work? A sit down dinner feels too formal, but you know if you don't eat anything you're going to be wasted after two drinks and talking way too much about how you hate cats? Me neither. But just in case you do come across that situation, know that Bar Jamón is there for you. It's a great middle ground between just drinks, and drinks with some food. The Spanish small plates are all excellent, and the wine list is about as good as one gets if you ask us. The downside? It's pricey, and twenty people in there means it's a full house. Don't make the trip without a backup plan. Simple, but delicious. There's a lot more flavor here than you might expect from garlic bread that's been rubbed with a tomato. Some ridiculously good chorizo, sliced and topped with thin, crunchy pickled peppers for acid and sweetness. This might be our favorite thing at Bar Jamón. We love our octopus. This one comes served with some spicy chick peas, and it's tender and delicious. Good Spanish ham, served with baguette. If you really feel like splurging, you can spend thirty bucks on the Jamón Iberico, but we opted for this and a few more glasses of wine instead. You should probably stop being a showoff and do the same. Not to be mistaken for a Mexican tortilla, like the ones you use for taco night. This is a Spanish tortilla, which is almost like a quiche made with eggs and potatoes. It's fantastic, though served cold here, which can turn some people off. We love it. There are few things in this world that I love more than Manchego cheese served with quince (basically a block of fruit paste). Order the Tres Manchegos or the Valdeón (blue cheese) with figs.